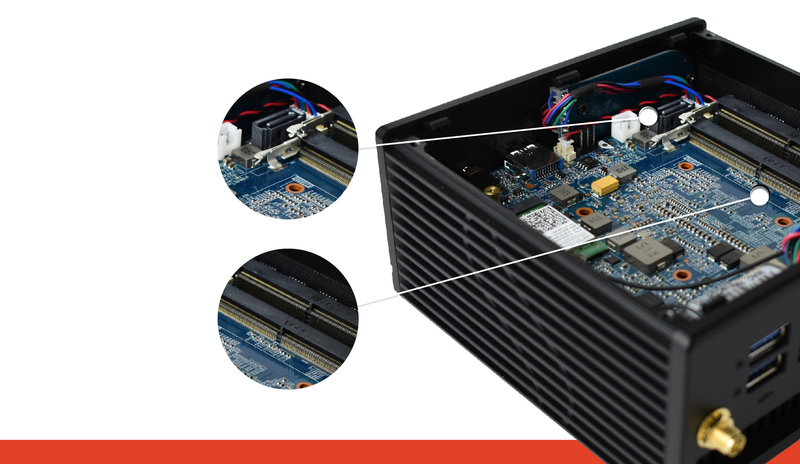 Last year, our first barebones mini PC product line was released: the Azulle Inspire barebone mini PC. This product line is one of our most exciting, as it is unlike the rest of our mini PCs. The Inspire is designed as a custom Barebones PC System that provides you with the flexibility to add your own components. The Azulle Inspire Barebone Mini PC was originally launched with three variant processors: Dual-Core Intel Kaby Lake i3-7100U, Dual-Core Intel Kaby Lake i5-7200U and Dual-Core Intel Kaby Lake i7-7500U. Each processor option has a different level of performance and dependability. Now, a new variant has been released – the Apollo Lake J4205. This variant steps away from the traditional choices of Kabylake processors to bring a entry-level option at an affordable price. You can select your preferred processor, then personalize your Inspire with your choice of operating system and RAM. This customization is what makes the Inspire unique; it gives you the power to make it your own. Build a barebones PC perfectly to have a muscular unit that fulfills your computing needs at your level! 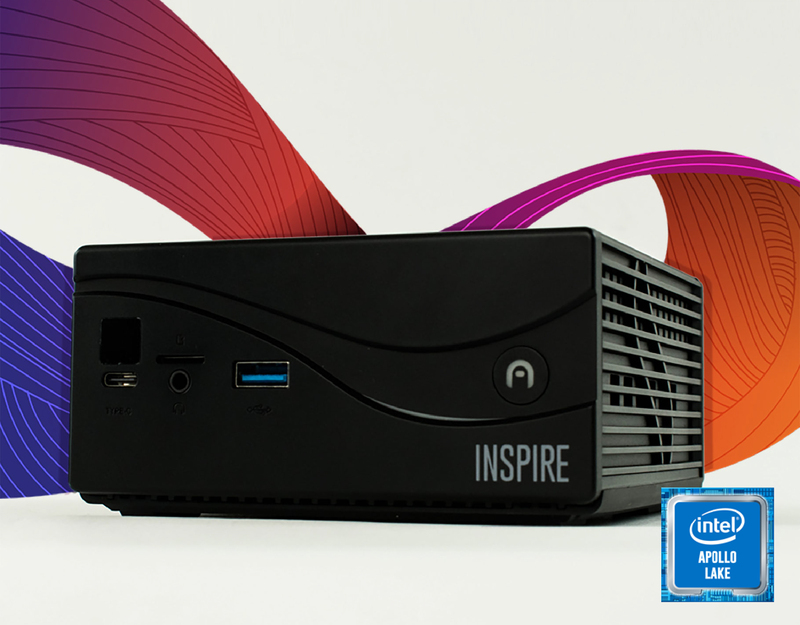 The flexibility of the Inspire custom barebones PC makes it a jack of all trades. Use it to play your favorite desktop games, edit video content, create graphics and designs on development softwares, manage business programs, and so much more. Run your favorite go-to applications, including heavy editorial apps like Adobe and AutoCAD, or download games like League of Legends. However you decide to use it, the Inspire custom mini PC will display all of your content in 4K graphic and stream at 60 frames per second, so you can enjoy your crystal clear display of movies, videos, images, designs and games. 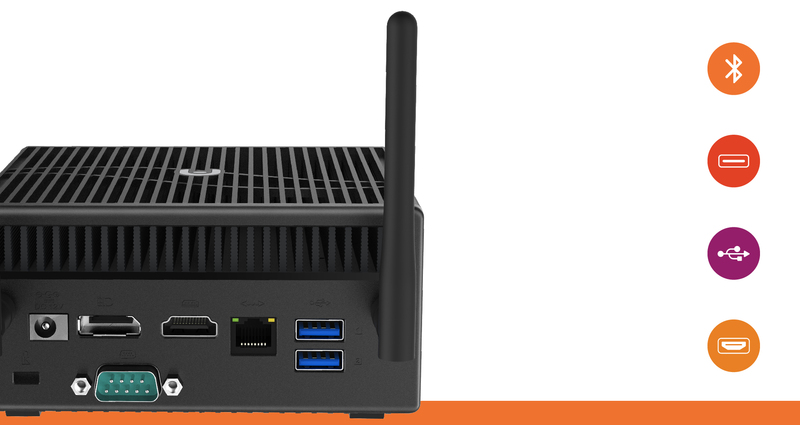 The Azulle Inspire Barebone Mini PC comes with both options of dual-band Wi-Fi and Ethernet Internet connectivity. Connect to Wi-Fi for light computing, or to the Ethernet for more reliable connectivity when running heavy content. The Inspire also offers both Bluetooth 4.0 and various ports, such as three 3.0 ports and a Type-C port. Use Bluetooth to pair wireless accessories or the ports to plug in chargers and wired accessories. Compute how you like and create the perfect set-up with your favorite accessories without a problem! Want the Inspire delivered to your door already built? Simply NUC will be providing fully configured Inspires on their website https://www.simplynuc.com/azulle-inspire/. You can visit the Simply NUC website and choose from the three original variant processor options of the Inspire, and select among the operating systems and RAM storage offered by Simply NUC, or submit a request for a more personalized finish if preferred. Get your own custom barebones PC today!